There are two different types of returns. Either the shipping carrier will return an order, or you will. If the carrier is not able to deliver the items to the provided address, they will return them to us. Most commonly it’s referred to as the ‘wrong address’. It happens if you provide an address that is considered insufficient by the courier. Be extra careful with apartment numbers and zip codes! Don’t leave them out and double check the digits. You can use a simple tool like the USPS ZIP code lookup to make sure that the city in the address matches the zip code. Another reason items are returned by the carrier is that they were ‘unclaimed’. If your do not collect the item at the local post or a different pickup location, it will be returned. In most cases, the shipment will be returned to us. We will be able to reship the returned items to a correct address. However, keep in mind that you will be liable for reshipment costs once you confirm an updated address. The other reason for returns is when you return the ordered items. Usually, this is due to the incorrect size being ordered. It is best to read the provided size chart to confirm the size details. If you need a different size please contact us before sending back the package. It’s possible that you might receive a damaged item. There are a handful of reasons why that might have happened. It could be a manufacturer’s error, fulfillment error or damaged during shipping. We have quality control that our products go through. However, as with everything, we might accidentally let through an item that has defects. If you receive a damaged or defected item, we always take full responsibility and provide a free replacement. Please provide us with photos of the unsatisfactory product and the packing slip. Our customer support will be able to get back to you quicker when you attach these photos to the official problem report. To inform our customer support team of a lost in transit shipment, use the same contact us form. This is most common with international shipments sent without international tracking but sometimes happens with domestic orders as well. Usually, you will see limited or no entries to the tracking log from the link we provide. This shows that the package might be lost. With international orders, since the package has no international tracking, it does not get scanned in each warehouse and location it arrives at, which makes it more prone to getting lost in transit. Domestic orders are more likely to be lost somewhere along the way to its next scanning point. The best thing to do when this happens to a customer’s order is to double check their provided address. If the particular shipment had international tracking yet it seems to be lost, here’s what you do. Please open up the tracking link in the shipping confirmation e-mail and copy the tracking number given. 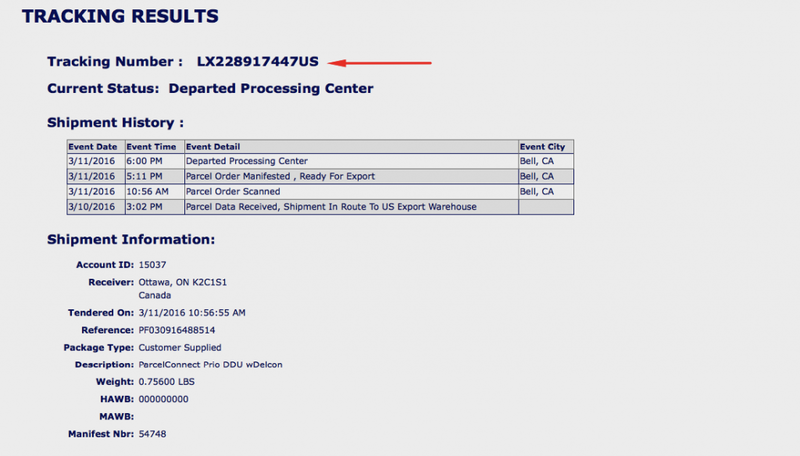 This is the local tracking number that a vendor uses for the item once it arrives in the end customer’s country. You can use this number to get in touch with their local post office. Once you reference the local tracking number, the post office should be able to determine the current whereabouts of the package. If you can’t find the items, please submit an official problem report to customer support. They will investigate the case and offer a solution. We have a large variety of Wisconsin gifts for anyone that loves the great state of Wisconsin. We take about 2-7 business days to create apparel products (t-shirts etc.) and 2-5 business days for non-apparel (posters etc.) products. Then you should add shipping times on top of that. 97.66% of our orders are shipped within 5 business days. More than a half of our orders are shipped within 3 business days or less.